Not many people know that for very little cost, most if not all, of the wealth in the family home can be saved. If, on the other hand action is not taken early on, all of the hard earned wealth in the family home can be taken towards payment of care fees. A common myth is that putting your house into your children’s names means that it cannot be taken into account. This is untrue; if you continue to live in the house, without paying a market value rent, then the property is still treated as if you own it regardless of whose name is on the legal title. There are many stories of people being thrown out into the streets by children or their spouses or partners. No one wants to sacrifice their home to potentially save care fees down the line. By considering the family home as part of a planning exercise for the future, married couples can review their wills and sever the joint tenancy of the family home in favour of owning as tenants in common; meaning that they are both still joint owners of the property. The difference is that on the first of their deaths the deceased’s half share in the house would pass to the children or other beneficiaries under the will. 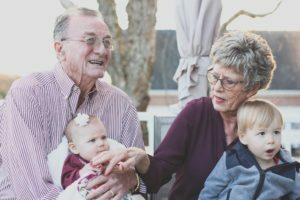 Before the beneficiaries are legally entitled to a half share in the house, the surviving spouse is given a right to carry on living in the house for as long as he or she needs. If then the survivor has to go into a care home he or she only owns half of the house. At least half of the property value has thus been saved without making anyone vulnerable. Arguably more than half of the value has been protected, as in arriving at the market value of the remaining half of the house a substantial discount would need to be given to reflect the fact that there are other owners. Who at the end of the day wants to own half of a house with other owners who are strangers? Warning Anything you do can be caught under the “deprivation of capital rules”. These rules allow the local authority to disregard any arrangements which are seen as a sham. Any planning must therefore be undertaken as part of a later life planning review for the future. How can Cognitive Law help? By carrying out a later life planning review Cognitive Law can look at the ownership of the marital home and draw up new wills to include the necessary clauses to give the surviving spouse the right to carry on living in the house. Free home visits and week end or early evening appointments are available on request. Should you like any further information please contact michele.henderson@cognitivelaw.co.uk or telephone 01513 700113.